NWOT. Never been worn. Bought these but they don’t fit me. 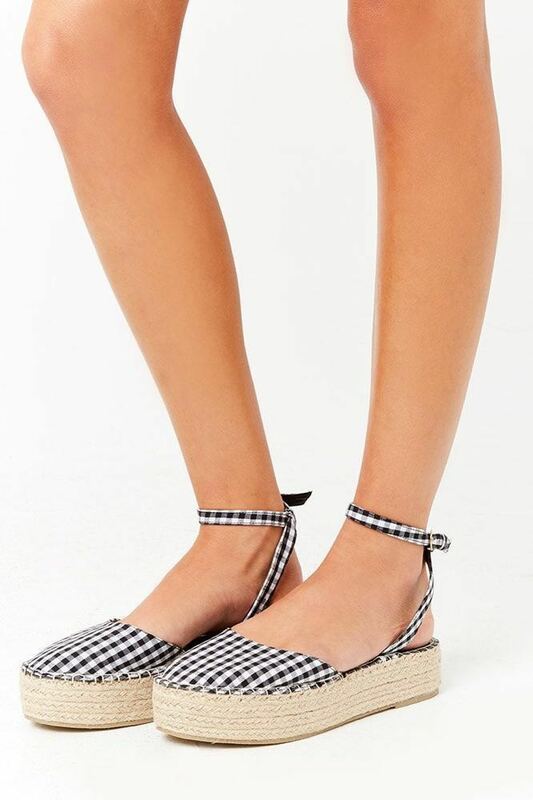 A pair of flatform sandals featuring a gingham pattern, slingback with adjustable ankle strap closure, round toe, and an espadrille sole.